Do you want to professionalise yourself, your company or a new concept? For the desired professionalism it may be that you need that extra bit. In such a case I will mention here some partners that I work with. Whether it concerns texts, a promo film or a marketing campaign, I have a large network of people around me. So if this is not the case, then I help find the right service. If you wish me to do the coordination and support for this step, we will discuss the possibilities and wishes together. 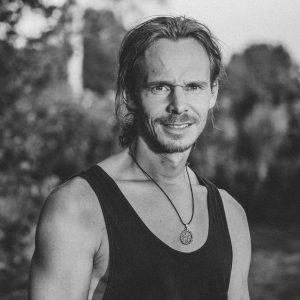 Johan, a self-taught film maker, producer, and creative director of the Qi-Yo Multiversity is a curious, joyful and dedicated seeker who captures the story of human consciousness while filming, traveling and teaching around the world. The focus of his work is on portraying a sense of community and connectivity. He learns through travel and interaction with the world around me. Hé plays with illusion and like to see the beauty of truth. Marketing is the discipline that deals with transferring the value of a brand, product or service to the market , with the aim of selling as many of the products or services as possible. Marketing activities can be aimed at increasing the brand awareness and a good image as inciting concrete action and generating turnover . Marketing can be aimed at the Acquire from new customers like building and maintaining customer relations focused on repeat purchase . Strengthening the brand and name recognition among a large audience are also called above the line marketing . The targeted approach of consumers to generate revenue becomes below the line marketing . DUTCH: We gebruiken cookies om ervoor te zorgen dat onze website zo soepel mogelijk draait. Als je doorgaat met het gebruiken van de website, gaan we er vanuit dat ermee instemt.